More than just Support. It's a business partnership. The NETGEAR ProSUPPORT for Business offerings provide you with peace of mind by extending and enhancing the standard warranty or support coverage included with your product purchase. With ProSUPPORT, you get 24/7 direct access to NETGEAR technical support engineers who can rapidly resolve technical issues both big and small. Connect with the people that have built your products and build the relationship that will contribute to your business success. NETGEAR extends your initial 90-day technical support with the OnCall 24x7 Tech Support package. OnCall 24x7 services are conducted by phone, chat and email, to solve any of your technical challenges. In addition, NETGEAR will proactively send you alerts about any newly released firmware updates to make sure that you are able to plan in advance, download and upgrade at your earliest convenience. Log into MyNETGEAR to check service availability for your products. Schedule an appointment for a live consultation by an expert to configure, set up or re-configure your device. This allows you the quickest time to deployment, optimizes accuracy in product deployment, minimizes downtime and maximizes the performance of the device. Once your warranty expires, ProSupport for Business provides you with an extended warranty ensuring that if you have any issues with your device, it will be replaced by the same (or a newer) device. Next Business Day product replacement is also included to ensure that your business is back up and running in the shortest time. The Extended Warranty plans will be available soon. Stay in touch with us to be notified as soon as it becomes available for your products. 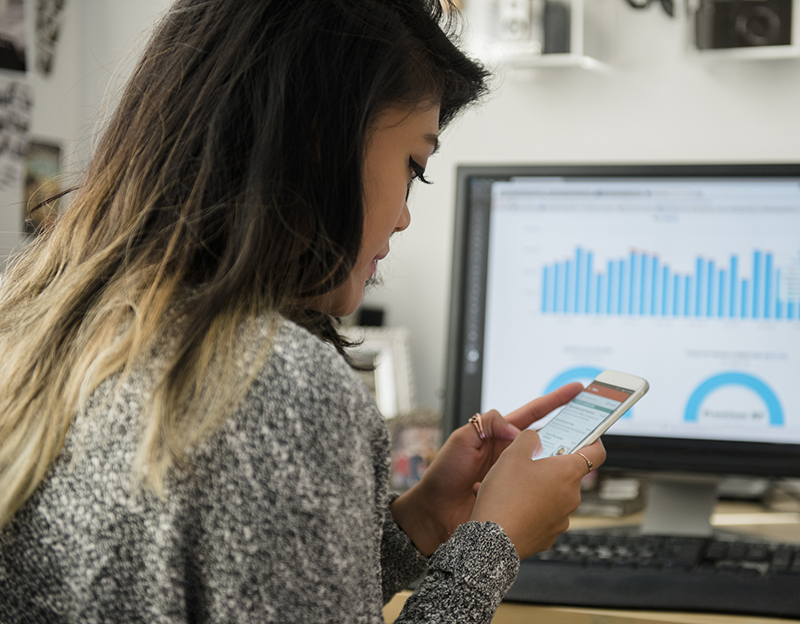 Maximize business success with the right support plan. 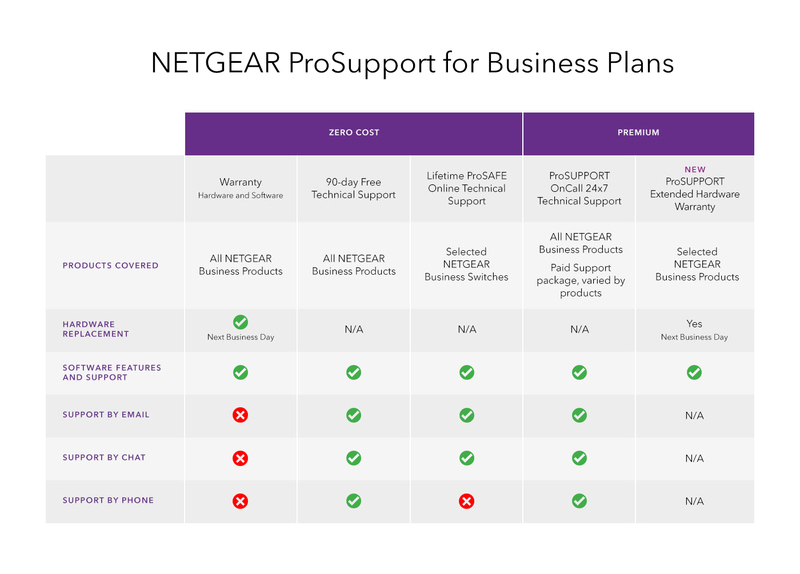 Not sure which NETGEAR ProSUpport for Business services to choose? See how the services stack up against each other or click here for more information.